Research, Development, Test and Evaluation (RDT&E): appropriations fund the efforts performed by contractors and government activities required for the Research and Development (R&D) of equipment, material, computer application software, and its Test and Evaluation (T&E) to include Initial Operational Test and Evaluation (IOT&E) and Live-Fire Test and Evaluation (LFT&E). RDT&E also funds the operation of dedicated R&D installations activities for the conduct of R&D programs. 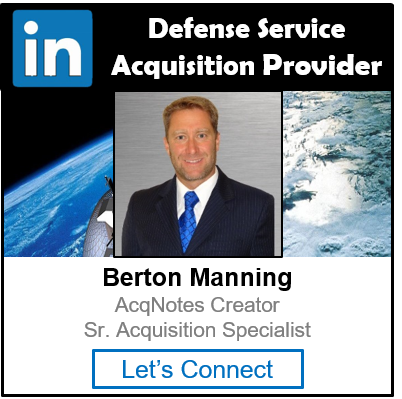 Procurement: appropriations fund those acquisition programs that have been approved for production (to include Low-Rate Initial Production (LRIP) of acquisition objective quantities), and all costs integral and necessary to deliver a useful end item intended for operational use or inventory upon delivery. Operation and Maintenance (O&M): appropriations fund expenses such as civilian salaries, travel, minor construction projects, operating military forces, training and education, depot maintenance, stock funds, and base operations support. Military Personnel (MILPERS): appropriations fund costs of salaries and other compensation for active and retired military personnel and reserve forces based on end strength. Military Construction (MILCON): appropriations fund major projects such as bases, schools, missile storage facilities, maintenance facilities, medical/dental clinics, libraries, and military family housing. DoD 7000.14-R Volume 2A “Financial Management Regulation (FMR)”: provides general guidance on the formulation and submission of the budget requests to the Office of the Secretary of Defense (OSD). It’s used for a budget review, submission, presentation and justification to Congress. The guidance for appropriation categories is found in Volume 2A, Chapter 1. The definition from the guidance pertaining to Appropriations is below.